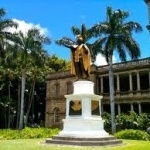 State Credit Rating Downgrades: Could Hawaii Be Next? Despite improving economic conditions, state credit ratings have remained under pressure in 2014. Thus far, the states of Kansas and New Jersey have both been on the receiving end of several adverse rating actions, while Illinois – the nation’s lowest rated state – received a negative outlook from S&P. Rating downgrades are often preceded by negative news about the state. In Kansas’ case, substantial news about the state’s budget difficulties preceded the downgrades, while we saw several articles about New Jersey pensions before that state’s ratings shifted downward. Although a spate of negative press isn’t inevitably followed by a downgrade, investors hoping to get ahead of rating actions can benefit by monitoring local news and critically assessing the coverage. Bitvore automates the task of news monitoring thereby allowing sophisticated investors to focus on analyzing the news coverage and making their own judgments about whether a story might presage a downgrade. Last week, we picked up a story that may or may not spell trouble for AA/Aa rated Hawaii - a state which has over $7 billion in outstanding general obligation and revenue bonds. The article quoted Hawaii Senate Minority Leader Sam Slom as follows: “Hawaii is set to go bust in 2016 unless the new governor and the state Legislature make some serious cuts.” Pretty strong words, but since Slom is the only Republican in the state’s 25-member Senate, they may need to be taken with a grain of salt. On the other hand, Slom’s comments were prompted by the earlier release of some pretty grim budget numbers. Hawaii’s fiscal 2014 general fund revenues came in 1.8% below 2013 levels and the state’s official Council on Revenues substantially lowered its fiscal 2015 revenue forecast. The cumulative effect of these two developments was to blow a $264 million hole in Hawaii’s biennial budget, which covers the period July 1, 2013 to June 30, 2015. The governor’s supplemental budget for this period, published last December, already showed expenditures exceeding revenues by $400 million. Hawaii has substantial reserves, so it is clearly not in any immediate danger of facing a fiscal crisis similar to America’s other major island-based sub-sovereign, Puerto Rico. That said, rating agencies may decide that the state’s poor revenue performance and large deficits may no longer be consistent with AA ratings. While I can’t be sure that a downgrade for Hawaii is in the offing, I do know that the harbingers of any future downgrade will be found on Bitvore.